Find some of the great attractions Pennsylvania has to offer when you cross the border into this fun state. Leave NY behind for a day and visit attractions in PA! The whole family will love visiting these Pennsylvania tourist attractions. One of the Top Pennsylvania Attractions for Young Kids! 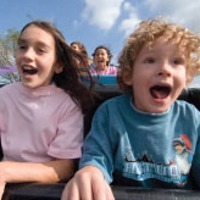 Dutch Wonderland is a fun theme park that is great for families and kids up to 10 years old. Fun rides and a magical atmosphere delight children and they'll have a blast trying out every ride in the park. If you're visiting during the summer be sure to bring a bathing suit and check out Duke's Lagoon where you can cool off in fountains, geysers, bubblers and water jets. Special shows throughout the park are great fun for kids and take place regularly throughout the day - check out Dragon's Tale or Adventures of the Frog Prince! Dutch Wonderland is open throughout the summer and on weekends in the late Spring and early Fall. This penitentiary-turned-museum is a fascinating look into PA's history. 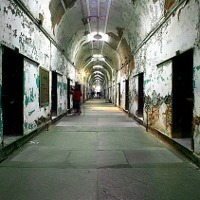 See the cells that housed such notorious criminals as Al Capone and William Francis Sutton. Walk through the halls and listen to the audio-tour which includes first-hand accounts by wardens, guards and inmates. The Operating Room, Death Row, Chaplains Office and even "the Hole" are just a few of the areas and rooms visitors can explore. Admission is $12 for adults and $8 for students - this PA attraction is not recommended for children under 7 years old. 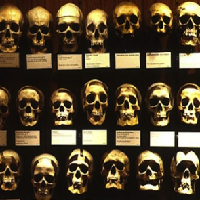 Understand the wonders of the mysterious human body here at the Mutter Museum in PA. It is one of the top attractions in Pennsylvania and is not only known for amusement but also as a rich source of knowledge for medical history buffs. Here, you get to appreciate the history of diagnosis and diseases through their well-preserved displays. When visiting the Mutter Museum, you get the option to visit another museum, the Penn Museum and get a discount on the tickets for both. Price is at $20 for adults and $14 for students, seniors and military. The museum is open daily from 10 am to 5 pm. 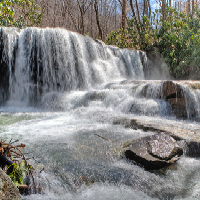 Ohiopyle State Park is not only one of the top attractions in PA, it is also one of the most visited parks in the whole country. With over 19,000 acres of land, this is truly a site for many activities and beautiful sceneries and a must visit when you are in the state. Whether you feel like water rafting, biking, hiking or fishing, this is the place you would want to be in. It offers a great outdoor adventure, from family outings to picnics or camping and just roughing it out. Visit their website for more information on schedules. 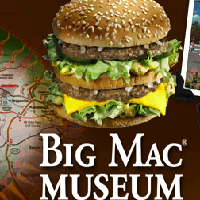 The Big Mac Museum in Pennsylvania is one of the top attractions in the state. It displays a memorabilia of numerous big mac mementos. Get your photo taken while you say cheese! in front of the biggest big mac replica. Let your kids have fun at the state of the art play place. If you have been a big mac lover for the longest time, you will get to enjoy the display of different big mac packaging over the years. This establishment is near the birthplace of McDonald's and they have tastefully decided to put a remembrance of their mega burger museum there. The Insectarium in Pennsylvania is the largest insect museum in the country. This top tourist attraction in PA has live and well-preserved bugs on display so anyone visiting will definitely be in awe in the beauty of these small creatures. Visit the museum and you will never feel the same about insects ever again. 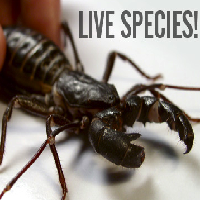 The Insectarium is open to viewers Mondays to Saturdays from 10 am to 4 pm. A tour usually takes an hour and a half and you will spend more time if you decide to visit their shop for some interesting souvenirs. The museum has many different exhibits good for field trips for any age. Tickets are at $9 plus tax. 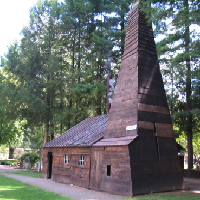 Visit the Drake Well Museum in Pennsylvania. This top tourist attraction in PA lets you discover how oil is pumped into many wells and where Native Americans got oil even before America's discovery. This is where you can get old fashioned fun playing games and enjoying picnics with the family. You might even see bald eagles looking for food in the river. The Museum is open from Tuesday to Saturday 9 am to 5 pm and from noon to 5 pm on Sundays. Tickets are sold at $5 for children, $8 for seniors or groups of 10 and $10 for adults. Children below 3, active military members and their family enjoy a free entrance to this attraction. The Pagoda that sits atop Mt. Penn in PA has been an established structure for more than a hundred years. This PA attraction is proudly owned by the citizens of Reading and boasts a magnificent unforgettable view. It is indeed an extraordinary building that now opens its doors for tours and rentals. This registered historic building is 7 stories high with a total of 87 steps to the top. Be awed with its beauty while climbing up to get a glimpse of the view that surrounds it. 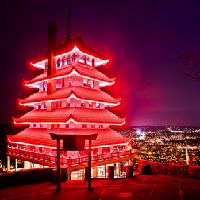 The Pagoda is open on Saturdays and Sundays from noon to 4 pm and entrance is free of charge. However, for maintenance, a $1 donation is appreciated. 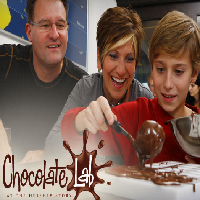 Located in Pennsylvania is the museum of a world renowned chocolate bar in a town called Hershey. This museum showcases the life of its creator, Milton Hershey, its ups and downs and the events that led to a successful industry. The Hershey Story Museum offers interactive exhibits for visitors to make the experience not only entertaining but full of learning as well. Open from 9 am to 5:30 daily, you can view its showcase of chocolate memorabilia, experience chocolate goodness in their cafe or get a hands on try in the chocolate lab. They also have a shop that sells cookbooks and many other chocolate related stuff that you can indulge on. Make sure you visit this PA attraction! 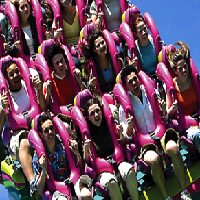 The Dorney Park in Pennsylvania offers many exciting activities from fun rides, thrill rides to dinosaur adventures and good dining. They even offer a two for the price of one ticket for the theme park. Avail this and you can visit the Water Kingdom as well. This is probably why it is one of the top attractions in the state. This 2013, Dorney Park will open its doors of fun on May 3 and the Water Kingdom on May 25. You may visit their website for hours of operation and check out their season promotional tickets as well. Visit them this summer and check out the newest addition to their rides: the Stinger and also watch their thrilling animatronic dinosaur park! The Poconos in Pennsylvania is a top tourist destination and has the wonderful mountain backdrop and natural environment to thank for it being such an amazing attraction. If you want to have an outdoor adventure or a relaxing massage at a mountain spa, this is the place you would want to visit. Not only are the mountains so beautiful and photo worthy, this place also brings you closer to nature and make you relaxed and thrilled at the same time. 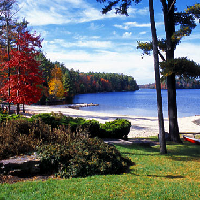 Visit The Poconos with your family or your special someone and check out the many things you can do together to have fun. Please Touch Museum is one of the top attractions in Pennsylvania especially designed for the enjoyment and learning of kids. The museum promotes learning through play and has created a wide array of fun activities where kids can get hands on experience while discovering fun facts. From puppet shows to painting classes, the Please Touch Museums have it all. Admission ticket is at $15 for adults and kids. Group rates are offered with big discounts so if you are planning on taking your class for a field trip here, contact them through their website to get a special offer. There is also a membership option where your kids get to enjoy going to the museum for free. The museum is open from 9 am to 5 pm Monday to Saturday and from 11 am to 5 am on Sundays.